DJ Killher Kev of the Blacktopia DJs is loving the latest single from Twicy titled "Baby Don't Go"! This is what he had to say after previewing the record. Baby don't you gooo girlll!!! 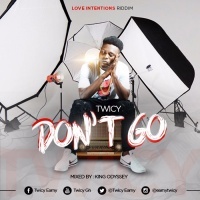 Listen to the song from Twicy "Don't Go" here at the direct link below.